We made it through six-plus long months of winter, and as such, we're especially thankful that warm temperatures are finally here to stay. First up on everyone's summer to-do list? Heading to the beach, of course! But before you head to the sandy oasis, it's time to refresh and revamp your swimwear collection with the most up-to-date, on-trend suits. 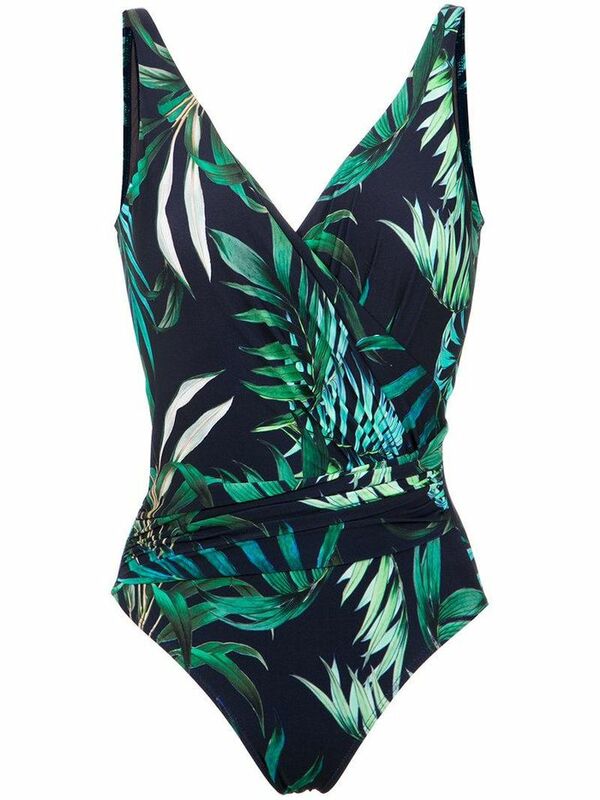 Among that must-have list, aside from the 2018 version of a string bikini and one (or two) piece featuring belt detailing, is a tropical-print swimsuit. Ahead we've rounded up 11 of the coolest palm- and floral-emblazoned swimsuits currently on the market because nothing says "I'm ready for some fun in the sun" more than tropical-print beach attire. Read on to shop our favorite tiki-inspired print swimsuits. Then pack your favorite beach bag and soak up the sun's rays. Next up, find our which swimsuit styles best align with your zodiac sign.